Sure, peanut butter and jelly sandwiches are easy, but your kids might want a little “extra” for their school lunch. Whether it’s a ham and cheese sandwich with mayonnaise or leftover pizza from the night before, the tricky part is going to be keeping it cold — and therefore safe — to eat by the time they sit down for their midday meal. Enter this cool (literally) lunchbox. While I don’t have a kid old enough to be taking lunch to school (we just started solids recently), I do have a husband who brings leftovers to work, and he came home raving about this lunch box the first time he used it. 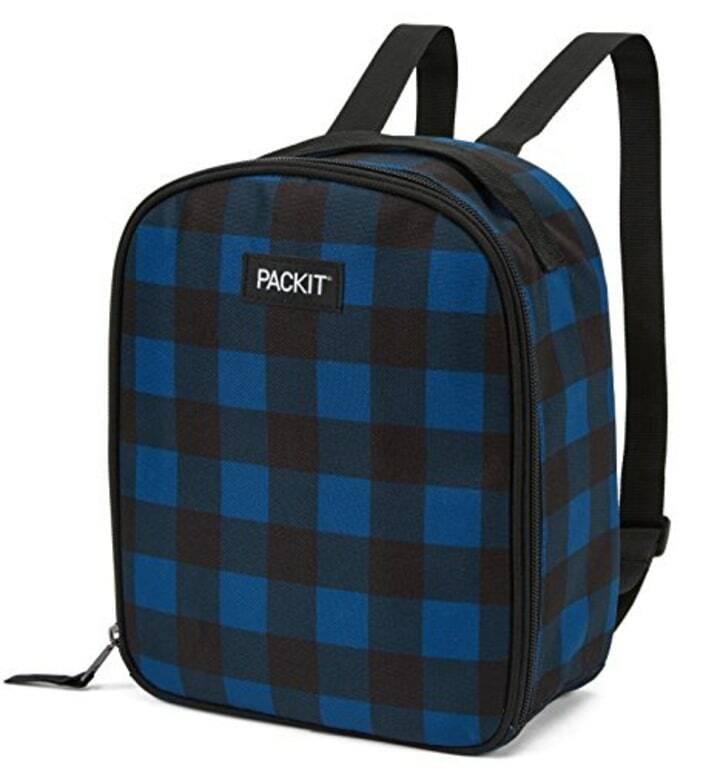 What’s awesome about PackIt is that it features a freezable gel-lined sleeve, therefore eliminating the need for bulky ice packs in your lunch. You put the bag in the freezer overnight while your lunch chills in the container in the fridge. The next morning, you just put the container in the bag and your food will be kept cold for hours. We have the bento box set that has three food compartments which is nice because it keeps things separated (it's good for picky kids that don’t like different foods touching each other). The best part is that it’s dishwasher and microwave safe. The bag has a handle and sits flat to prevent spills, plus there’s a convenient exterior pocket that you can use for napkins and utensils. 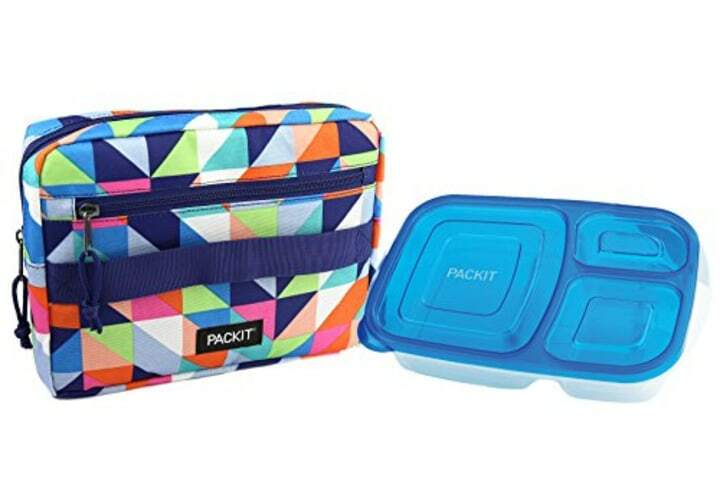 Of course, the bento box set is just one of the many different styles the PackIt freezable lunch boxes come in. Also available at Bed Bath & Beyond and Target. 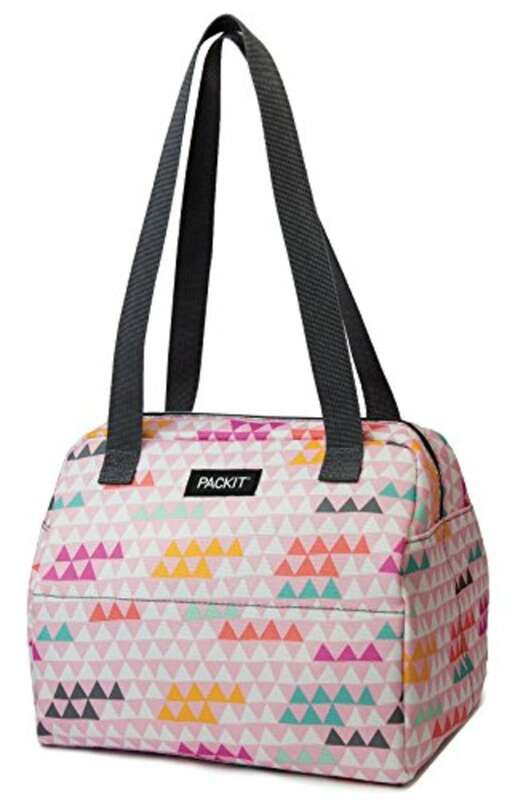 The best-selling version of it on Amazon (with 4 stars and over 3,800 reviews) is the lunch bag with zip closure. It comes in a variety of really fun designs like buffalo check, polka dots and blue camo. Also available at Kohl's and Bed Bath & Beyond. There’s another one that’s perfect for younger kids heading off to daycare or elementary school that acts as a mini backpack. It’s got adjustable shoulder straps so it fits just right, and there’s a reinforced top handle for easy carrying. Coming in a variety of fun colors and patterns, this classic freezable lunch box will fit your standard sandwich, snack and 12 ounce drink. 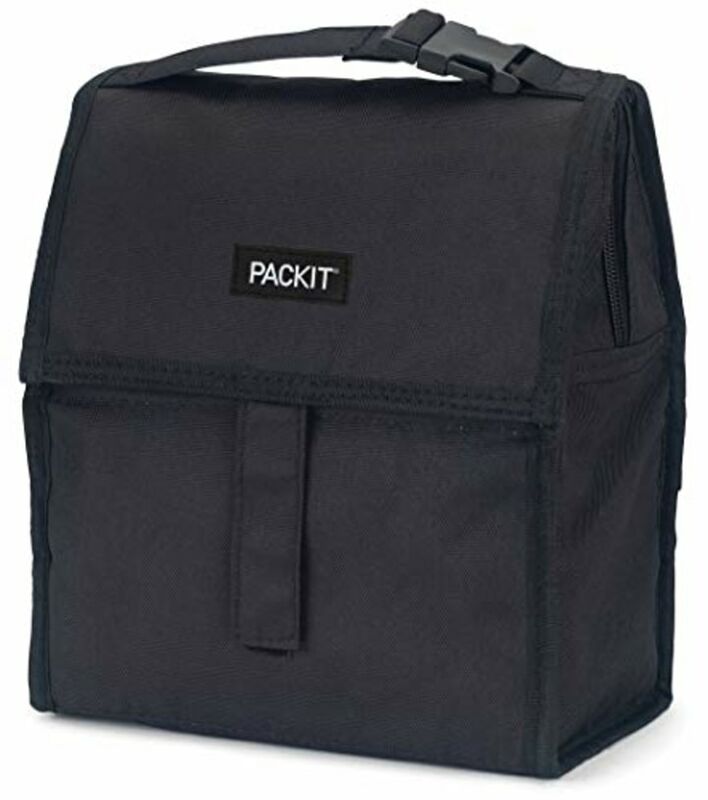 An exterior mesh side pocket can also hold an 8 ounce water bottle, utensils and napkin or snacks. 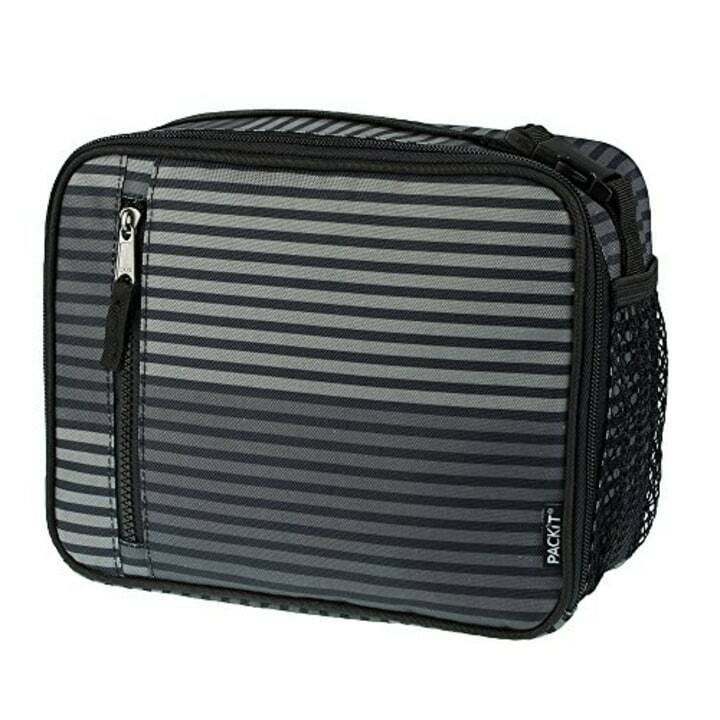 There’s also a zip pocket where you can store small things like an ID card or hand sanitizer wipes. And the buckle handle is really convenient because it can clip onto your kid’s backpack for easy travel.